Tiffany is a mental health counselor, utilizing a humanistic, multicultural and integrative approach drawing from various therapeutic modalities in order to best meet the individualized needs of the client. 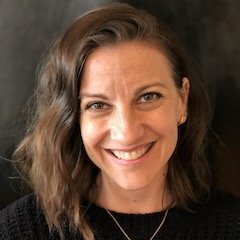 Her approach to treatment is highly relational, as she believes that the foundation of counseling is a strong and honest connection between the client and therapist. Tiffany’s goal is to create a space where her clients can feel seen and heard. She is deeply invested in supporting and encouraging her clients to achieve their goals, and views her therapeutic role as a privilege. Tiffany has experience working with adult and adolescent populations. Tiffany has also worked as a forensic interviewer, specializing in working with acute childhood traumatic events. Her background as a speech-language pathologist has also given her expertise in working with families of individuals with developmental disabilities. Her areas of focus include grief, loss and trauma, anxiety, depression, relationship issues, gender, sexuality, and LGBTQ+ with a specific emphasis on the intersectionality of queer identity and spirituality/faith.